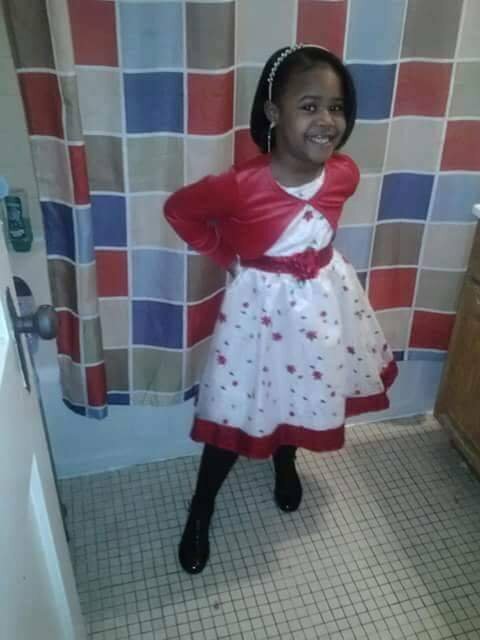 Eight-year-old Gabby Hill-Carter was shot while riding her bike in front of her family's home in the 900 block of South Ninth Street in the Bergen Square neighborhood of Camden. She died two days later from her injuries. 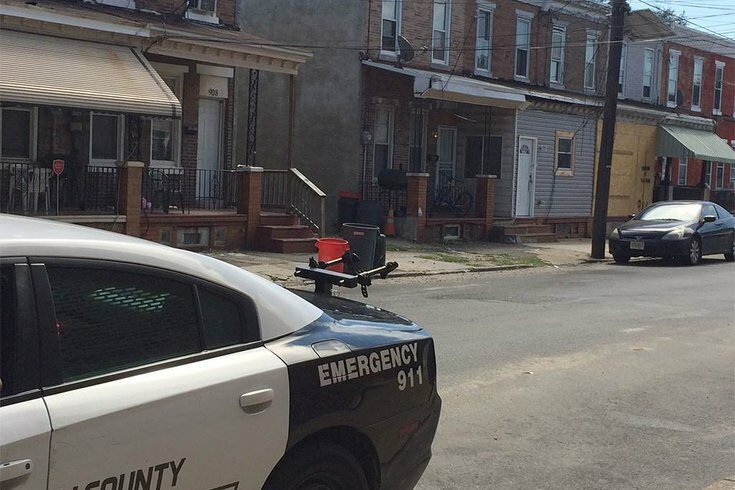 There were witnesses when Gabby Hill-Carter, an 8-year-old playing in the street in front of her South Ninth Street home in Camden, was struck by an errant bullet during a gang shooting. But they have yet to confide in police to the extent that cops have been able make additional arrests two months later. Even though the young girl was an innocent, talking to authorities about her killers is considered snitching, a pervasive problem in urban law enforcement. 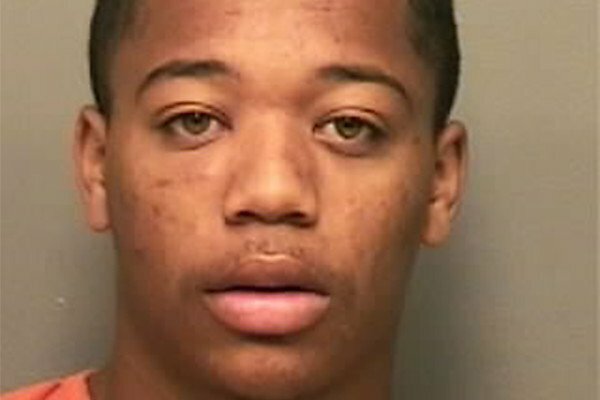 According to authorities, Tyhan Brown, 18, accompanied by several other young men, was quite literally gunning for Amir Dixon on Aug. 24. That’s when authorities say Brown allegedly fired a shot that hit Hill-Carter; she died two days later. Police were fairly sure of his involvement from the start. He's charged with first-degree murder in Hill-Carter's death. He's held on $1.5 million bail in the Camden County jail. But finding somebody to finger Brown and his confederates was another issue, despite a record $76,000 reward that remains unclaimed. As Scott Thomson, chief of the Camden police department, said when the Brown arrest was announced, "we did not receive the support we had hoped for" with information from tipsters. Tyhan Brown, 18, of the 1800 block of Kossuth Street in Camden, is charged with first-degree murder in the fatal shooting of 8-year-old Gabby Hill-Carter, authorities said. Police have even charged Brown’s mother, Shakia Land, and girlfriend, Natasha Gerald, with providing false alibis. Brown was finally arrested about a month after the incident, picked up at family member’s home in Tennessee. He's charged with firing the shot that killed Hill-Carter, held on $1.5 million bail in the Camden County jail. At the time of Brown’s arrest, Camden City Council President Frank Moran said he was confident that capturing Brown and charging him meant authorities would find and arrest those involved in committing murder in the city. But that has not happened: several others suspected of stalking Dixon along with Brown remain at large. And ironically, it is just part of a cycle: Brown’s own father was murdered in Camden in 2012, a case that was never solved. “Those who know ain’t sayin’. And those who are sayin’ don’t know,” said a resident of Hill-Carter’s Bergen Square neighborhood, who asked to remain anonymous as she talked Saturday morning about the names and whereabouts of Brown’s alleged accomplices. Just last week, the city recorded two homicides in fewer than 24 hours, bringing the number of murders this year to 37. Both recent murders remain unsolved. Solving homicides is an issue in all urban areas and is often attributable to a lack of cooperation and a fear of retribution among the community. Camden’s solve rate on murders in recent years has bounced around from as high as 60 percent to as low as the upper 30 percent range. At the end of October, the solve rate stood at 61 percent. “It is so stinking hard to overcome,” said Shane, a professor of criminology at John Jay College in New York. “Because the police department is the only agency on the streets of the city 24 hours a day, handling a wide range of complex problems, the police come to represent the 'government' to many citizens. According to Shane, it's a cultural problem. "Residents identify more with their ethnic group, their neighborhood, than with the city. And it is a us-against-them perspective,” he said. “It’s the code of the street, part of the lifestyle and culture” of drug gangs. But Shane said that "say nothing" attitude has spread because so many people in a city like Camden have had “negative interactions” not just with police, but also with city government. That’s been the case in Camden for 50 years, he said. “Promises get made, but then witnesses get burned. Witnesses even get gunned down. There’s no social benefit” in cooperating, Shane said. “It will take decades [for police] to rebuild confidence” in the community, Shane said. “You know if you are working homicide, another shooting is coming,” meaning cops may see a case where an alleged shooter is in custody as wrapped up even if confederates remain at large, Shane said. 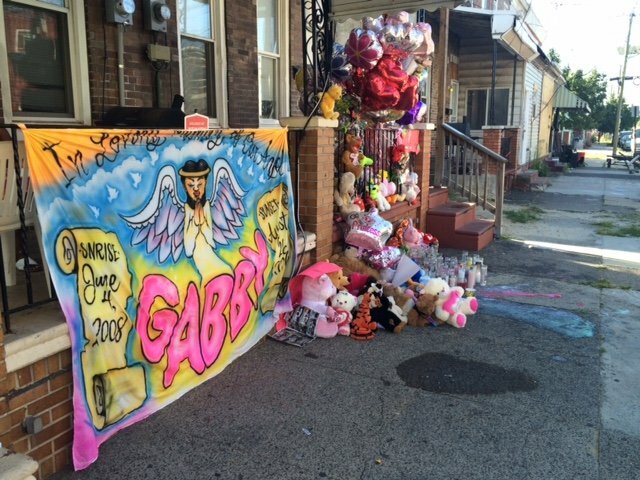 A memorial for Gabby Hill-Carter, photographed days after her murder. Susan Clampet-Lundquist, a St. Joseph’s University professor of sociology who co-authored a paper on snitching last year, said small neighborhoods amplify the problem. In a place like Camden, filled with neighborhood alliances, “the person selling drugs is a relative or someone you grew up with,” making the message to not talk to authorities all the stronger, she said. Snitching is an issue that once applied only to those “in the game,” but it has become more expansive, she said. He understands why the no-snitching message is compelling and admits that social media has made fighting that message all the more difficult because identities can be discovered and spread quite easily. “When you truly understand the dynamic of most challenged communities, coupled with the protections of the accused within our country’s criminal justice system, people often avoid involvement as a deliberate decision for the safety of their families and themselves," Thomson said. “Who has the resources or options of relocating or abandoning their own support systems? It is frustrating for us as law enforcement when we are trying to make an arrest, but I empathize with people’s fears and their concerns are real.